A Salad A Day – Day Five | Live. Learn. Love. Eat. Since I have a real sweet tooth, when I was thinking up what kind of salad to make today I had to go with something fruity. 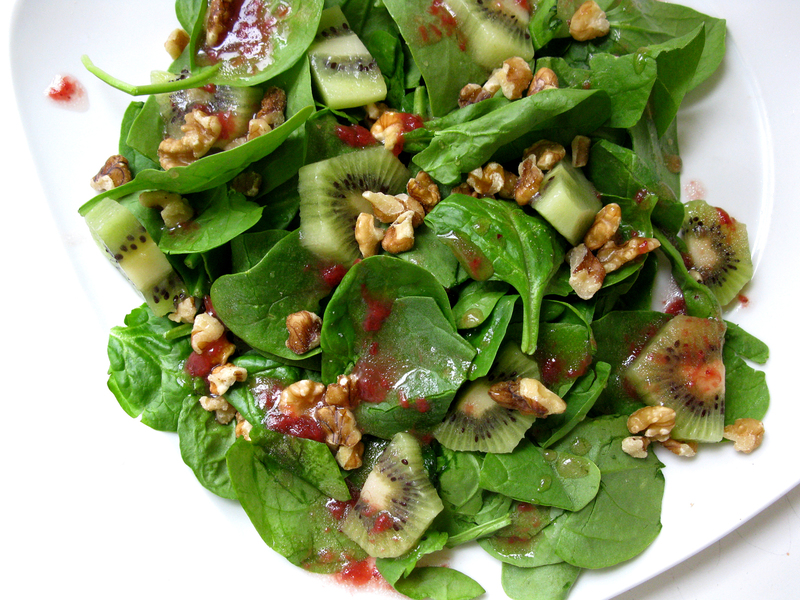 This salad is a spinach salad made with diced kiwi and a Strawberry Vinaigrette. I added walnuts for protein and healthy fat. It was delicious and just what I needed to replenish me after my morning power yoga. Whisk all the ingredients together in a small dish. Makes about 1 cup. I have been feeling better the last few days, now that I have been taking more time to do something for myself. I am again reminded that self-love is not selfish, but necessary to function and to best be able to love others. My hubby even bought me some essential oils so I have been taking the time to have a bath with the oils and without the kids for the first time in a long time. Whenever I would run a bath the girls would be right there with their feet over the tub. It has been nice to relax a little and find time to take a breath in the middle of all the chaos. And I assure you there is no end to the daily chaos around here. The salad looks yummy! I am glad that you are finding time to take care of yourself. 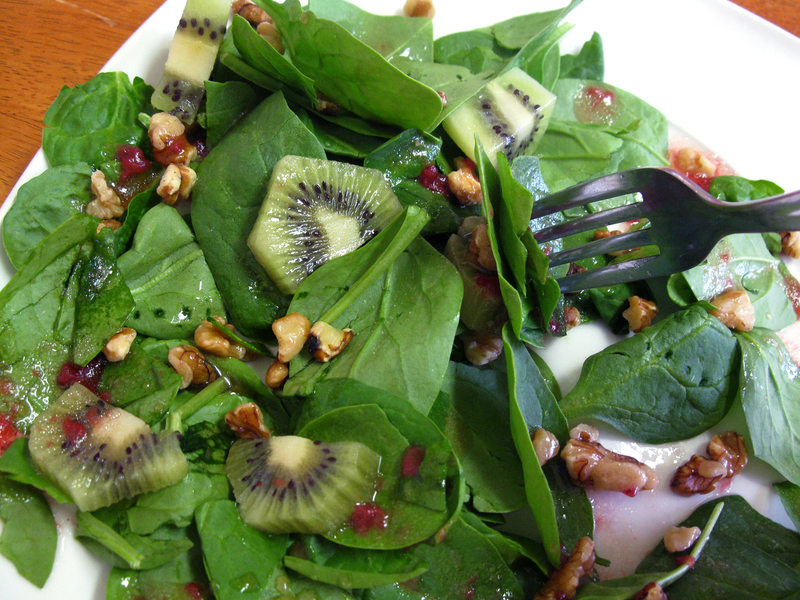 I never really liked salad much until I tried this one. This is the single most delicious salad I have ever tasted in my life. I never ate a salad as fast as I ate this one. Thanks! I love it too! I am glad that you liked it.